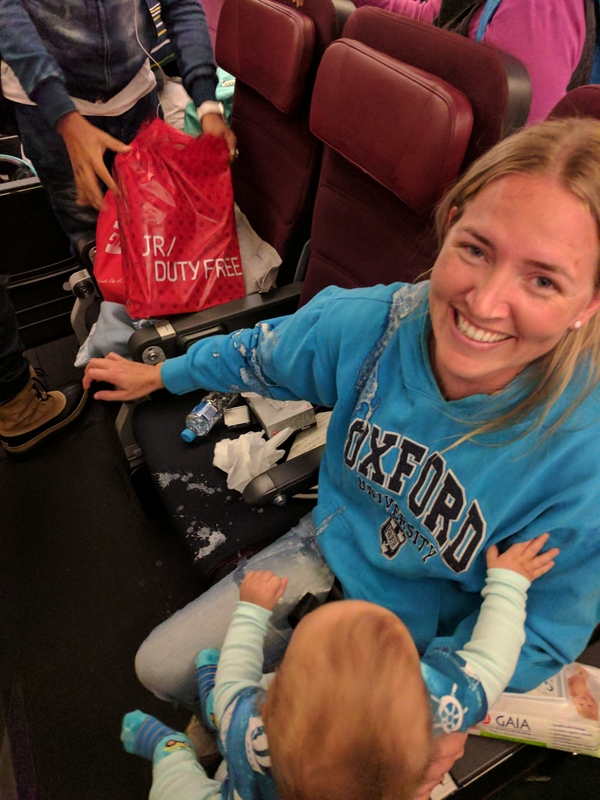 Well, people are not joking when they tell you that travelling with a baby is so much harder. Rather than being able to wing it, you HAVE to be organised. In saying that, it is completely doable and it will definitely not deter us from fulfilling our travel needs/desires. 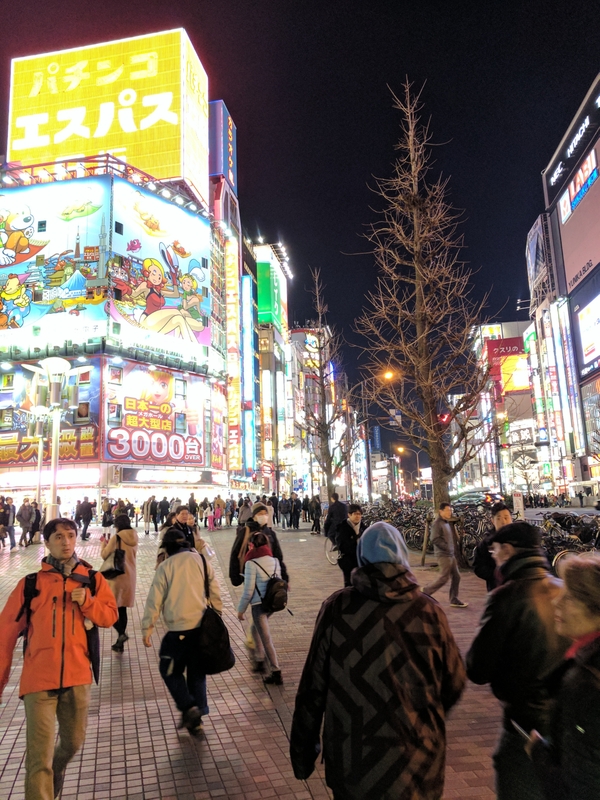 This adventure took us to Japan for a bit of pow, a bit of food, a bit of culture and a bit of drifting the streets of Tokyo in gokarts (not kidding). It was a rough start to the journey. Baby L who had not peed or pooped through his clothes or vomitted on me for months did all 3 during the first 24 hours. 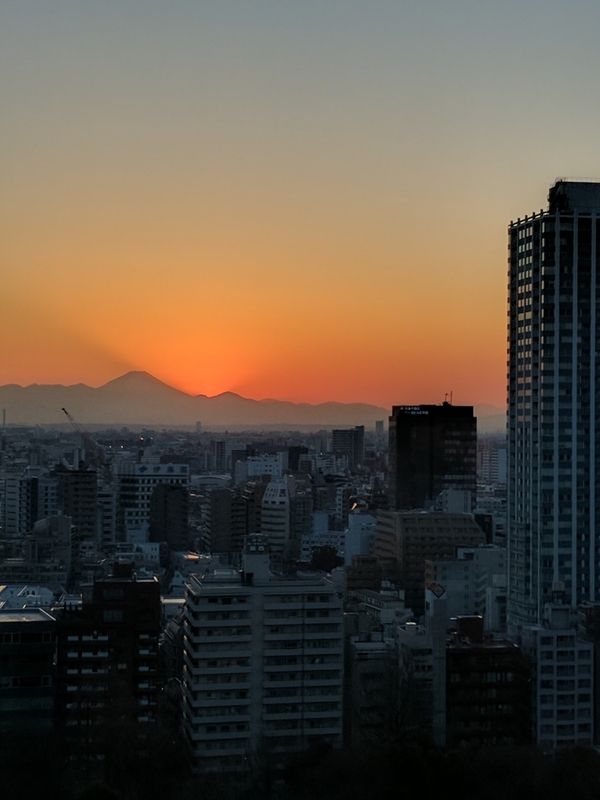 The one that topped it was the vomit of all vomits right on landing in Tokyo. I guess the positive part of that story is that it happened during landing rather than take-off right? And silly me had become complacent with his lack of bodily functions, so I only took a spare t-shirt on board…. The only item of clothing I didn’t need in the end. So much vomit. Is was even in my hair. As you can see, it’s very lucky that there was no one sitting next to me. The bus ride to our hotel was a bit rough on the nose. 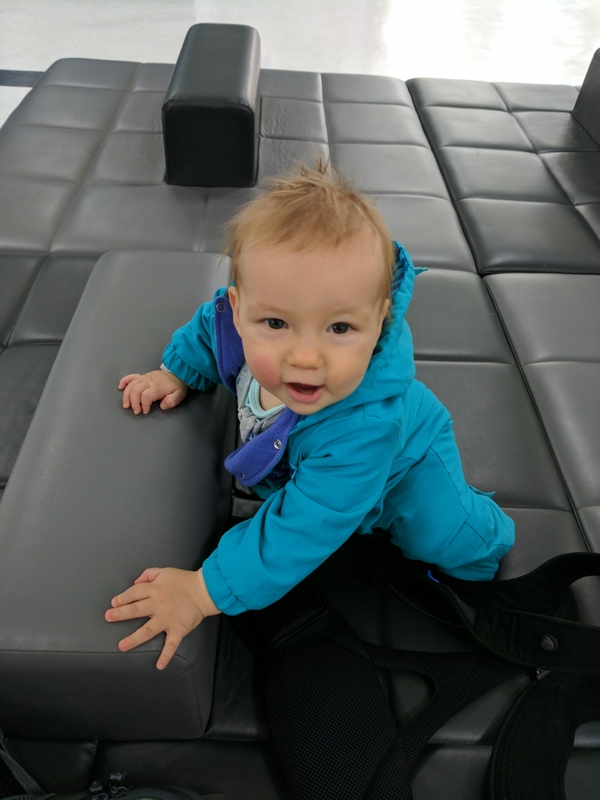 Thank you to the Qantas crew for the blankets that kept both baby L and I warm until we could get to our suitcases. 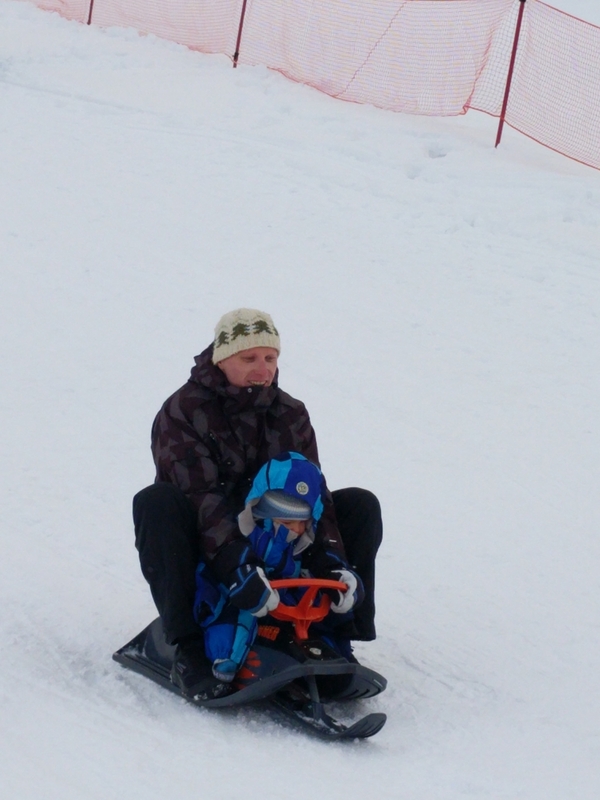 This time we thought we would try the ski slopes of Hakuba. My internet searches had discovered more easily accessible child minding options, although the town itself is a bit more spread out than our trusted Niseko village. I was very relieved when out little champion behaved like an angel on the 5 hour bus ride out to Hakuba valley. Most importantly, no bodily functions made an appearance. Our week on the slopes started out with a beautiful bluebird day and followed with rain, snow and heavy wind. Rain did not stop us attempting to head to the slopes, but the conditions swiftly sent us back down the mountain to seek shelter in our almost ski in/ski out apartment located near the Sakka ski lift. Wind did, however, stop us from skiing one afternoon but only because the lifts were not open. Well, the beginner’s lift was going so we did a couple hours of snowboarding. Ryan going slightly (ok a lot) faster than me. I will stick to skiing. The powder days were fantastic, but we had to be up the mountain as fast as possible because it would get tracked out very quickly. Not something I remember happening in Niseko. Baby L went on his first luge ride, and of course he loved it. 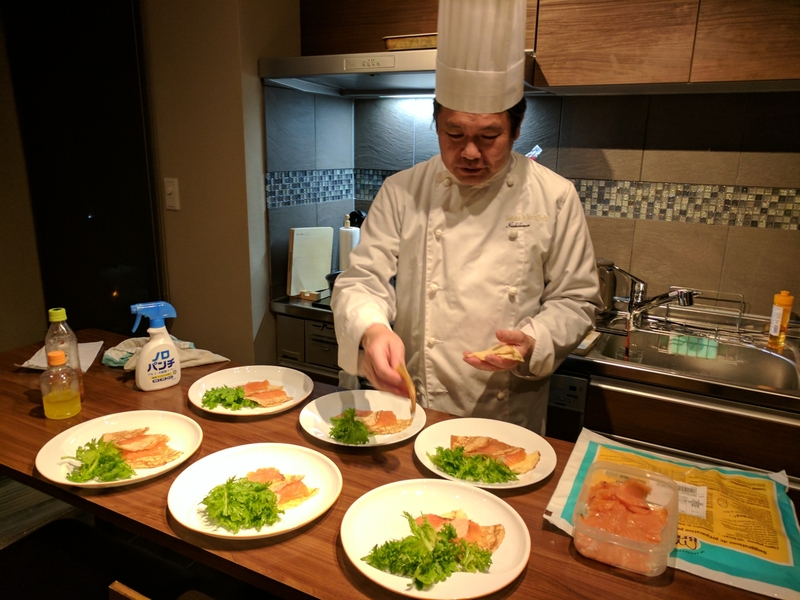 When the weather was just too windy and cold to head out for dinner, we organised for a private chef to come to our apartment and cook a 4 course meal. Hakuba private chefs did an amazing job and provided a meal that we will remember for a long time. 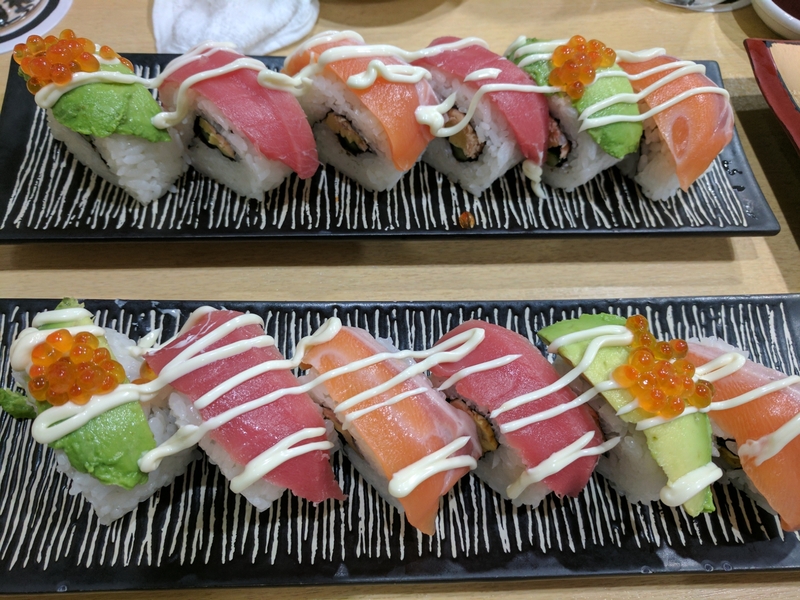 The French-Japanese fusion menu provided and entree of sushi, first course of marinated salmon pancakes (which were to die for), main of fukumi chicken nanban style and a dessert of Nagano apple compote with handmade Mascarpone ice cream. Although our last ski day was supposed to be on the Friday, the ski lifts open at 7:30am on Saturdays. Our bus left at 10am. Do the maths and you will see that Ryan and I managed to get over an hour of power in the morning pow. And oh my goodness, it was divine!!!!! We were way too rushed for me to get some photos or videos for you, but let me tell you there was a lot of squealing going on. It was an amazing way to end another fantastic week on the ski slopes before heading to the big city for a few nights. 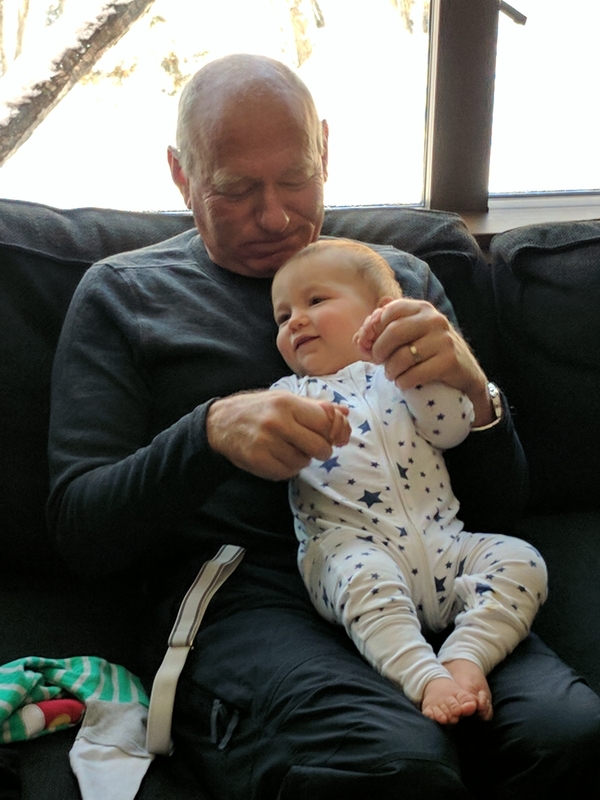 No matter how amazing the snow and the skiing, the best part of the week was still having my father meet baby L for the very first time. We live on opposite sides of the world and every moment was precious. 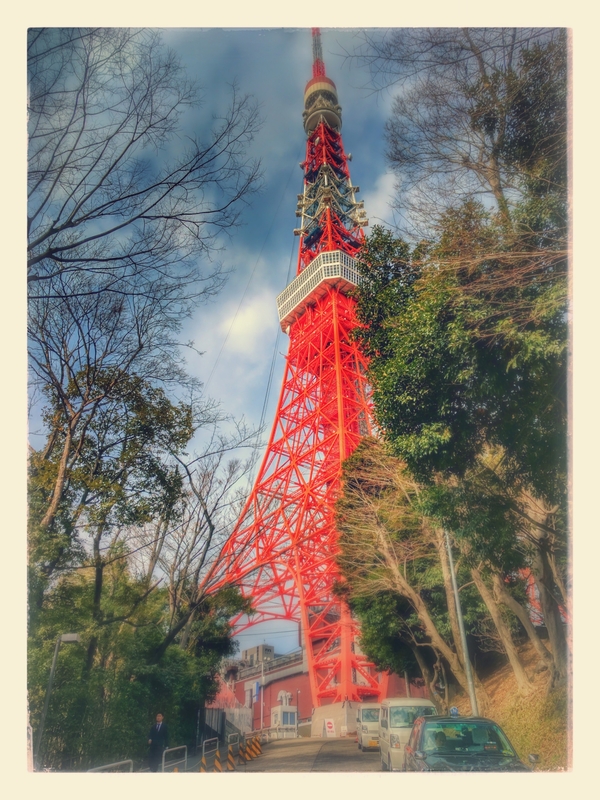 Tokyo was filled with train rides, delicious sushi, a night in yakitori lane that we will never forget, buying beautifully crafted Japanese knives and driving gokarts on the streets of Tokyo. 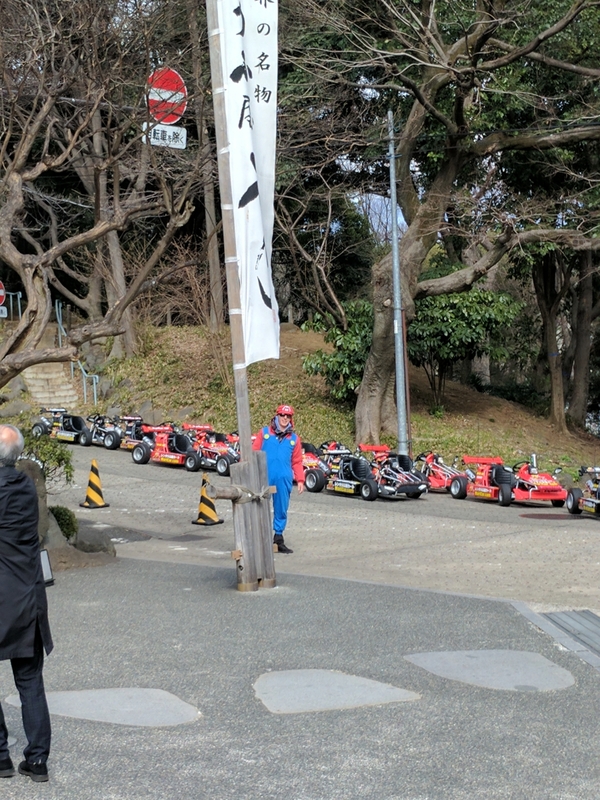 Yes, we dressed up as Super Mario characters and drove gokarts to the best sites of Tokyo. It was an insane and must do experience for anyone heading to this beautiful city. 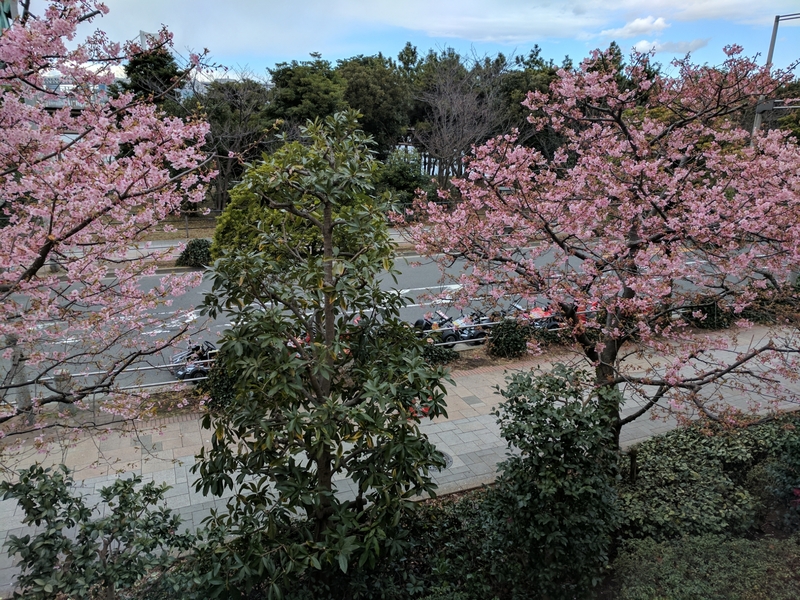 If you had not already seen on our instagram, we were even lucky enough to see some early blooming cherry blossoms. I am happy to report that our trip home was uneventful, with a safe arrival into a heatwave.